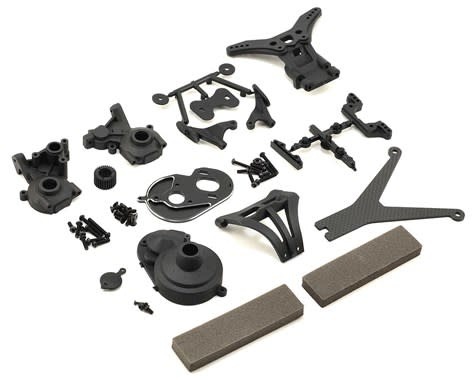 The optional Yokomo YZ-2 Stand-Up Gear Box Conversion Kit is ideal for off-road racers who race on low-bite track surfaces, or loose dirt conditions. 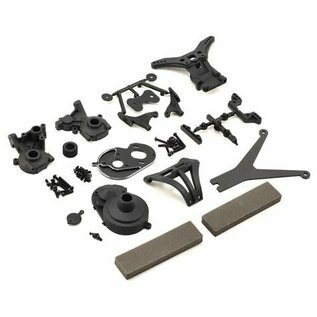 This conversion kit places more of the transmission and motor weight towards the rear, effectively generating more weight bias to the back. All the necessary parts are included, minus the internal transmission parts; you will need to use the transmission gears/bearings/hardware from your existing YZ-2 transmission.